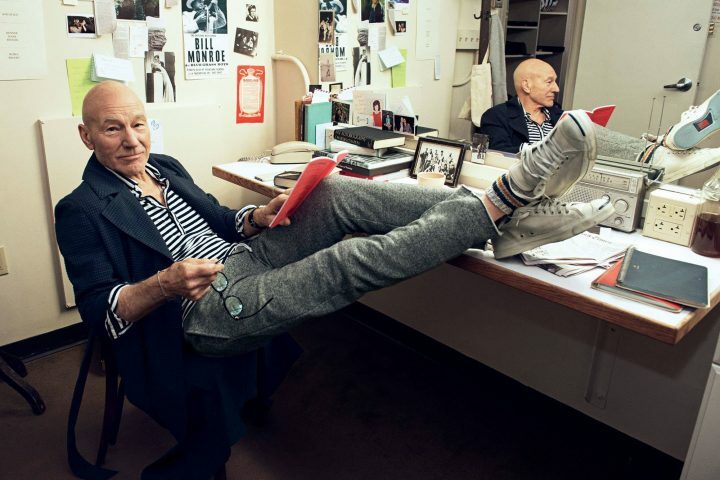 Listen, Patrick Stewart is the best. He’s the best Star Trek captain, first of all, he’s a tremendous ally to LGBTQ folks and women, and he’s an outspoken feminist. He also hasn’t aged in the last 30 years, somehow. 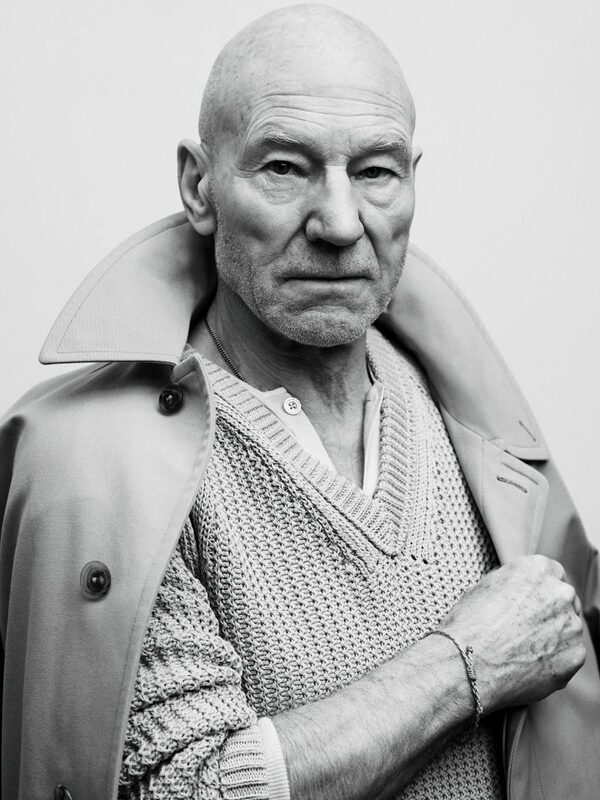 And also, he is GQ AF. Please observe. Look at this black and white excellence. Oh, hey, just casually relaxing in my cool kid hipster sweats and untied converse. 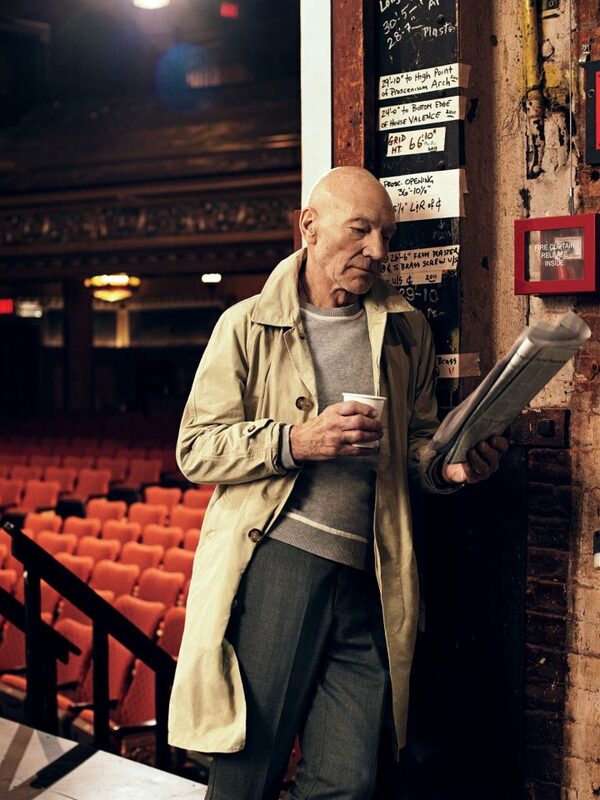 Just casually reading a newspaper in what is probably an uber famous theater. 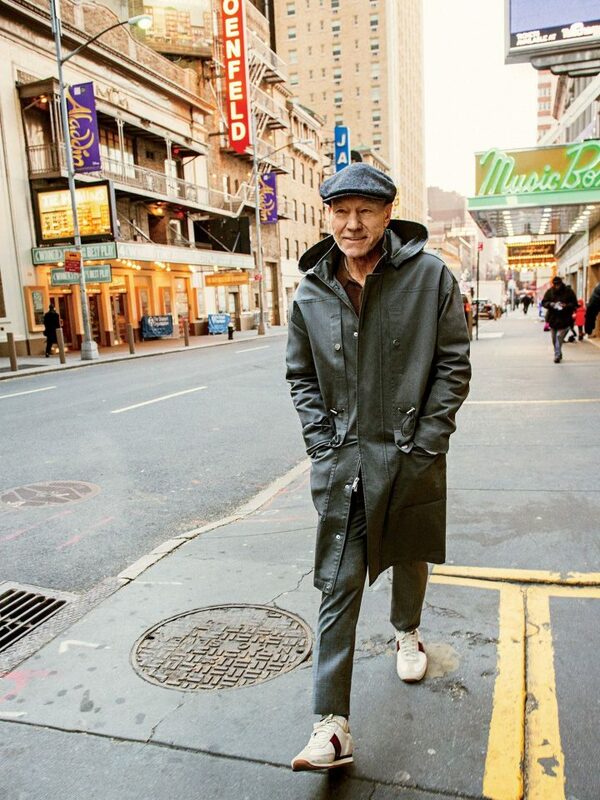 Oh hey just strollin’ about Manhattan looking like the coolest cat in town. NBD. I mean, seriously. How great is he? Oof, he’s the best. Long Live PStew.